It is necessary to turn off the MyiPhone feature before selling your device or handing it to someone for privacy reasons. You have to remove your device from the tracking service before letting go off your device. Apple’s Find My iPhone is a valuable feature that lets users track their lost or misplaced IPhones. Some overprotective users find this feature an encroachment of their privacy. They always feel as if they are being monitored by someone out there. They feel the need to deactivate this feature. Whatever the reason maybe, there is a way to deactivate the Find My IPhone feature which will be discussed in this article. 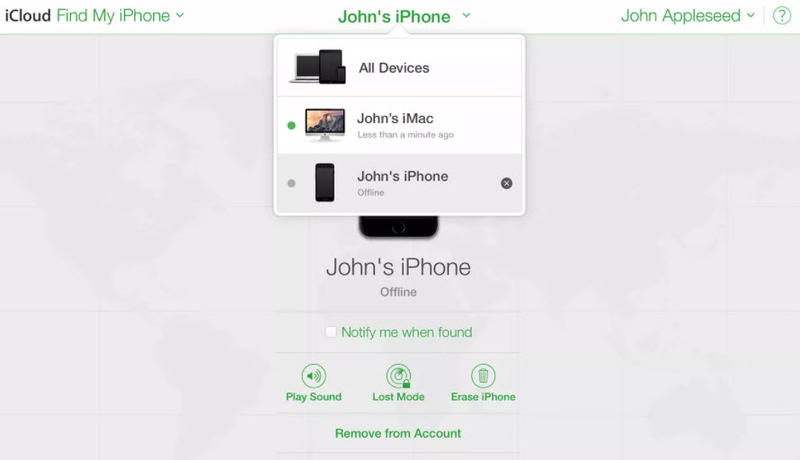 Here are some simple steps to turn off find My iPhone service. Step 1. Go to the settings tab. Step 2. Click the iCloud option. Step 3. Select the Find my iPhone option. Step 4. Change its status to OFF. Step 5. Type in your Apple ID credentials and select turn off. Following these instructions carefully will result in the deactivation of the Find my IPhone service from your device. Sometimes users may encounter an error. Their try to turn off the Find my iPhone service may result in failure. Their iPhone might also not be visible on iCLoud.com and logging out of iCloud might also result in failure. In these circumstances of “can’t turn off find my iPhone”, you can try out the following solutions. Before proceeding with this solution, make sure that your Apple device is backed up using the features in iCloud or iTunes. Step 1: Connect the USB wire of your Apple device to your PC, but not to your Apple device. Step 2: Turn off your IPhone. Press and hold the Sleep button until a red slider emerges on your screen. Then, slide this slider. 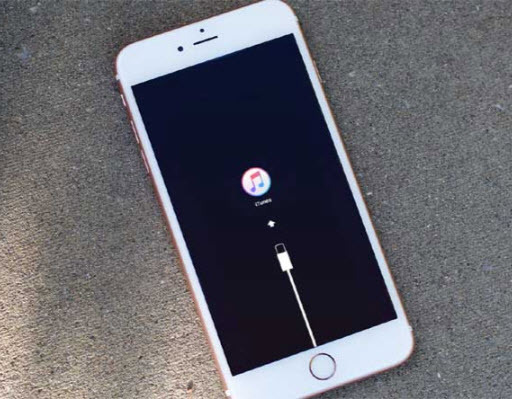 Step 3: Connect the USB wire of your Apple device to your iPhone, while holding down the Home button of your IPhone and wait for it to turn ON. Note : If the above process fails, restart your computer and repeat these steps again. Step 1. Go the website iCloud.com, in order to remove your device from the Find My iPhone tracking service. Step 2. Click the Help button once you’re on the iCloud.com website. Step 3. Go to Find My iPhone and then select remove and Voila! You have successfully removed your device from Find My iPhone’s tracking service. 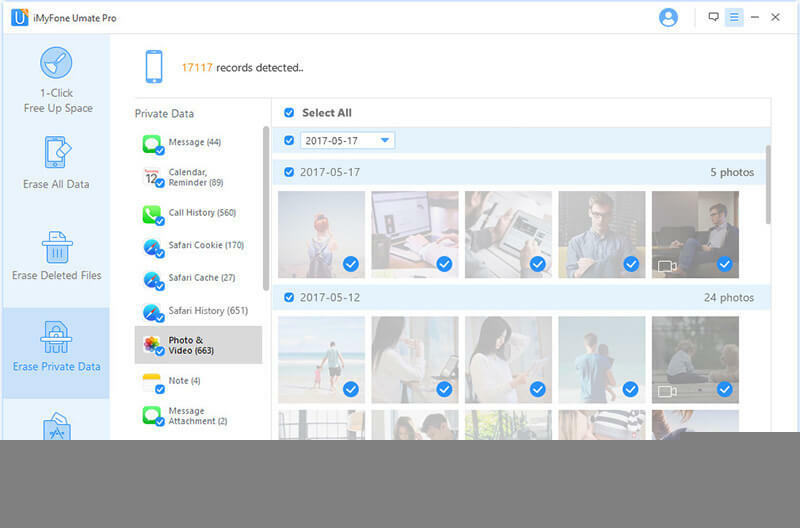 iMyFone Umate Pro or iMyFone Umate Pro for Mac is one of the best softwares to permanently wipe off data from your IPhone. It has been designed to provide the user with the option to selectively remove personal data in a simple and user friendly way. 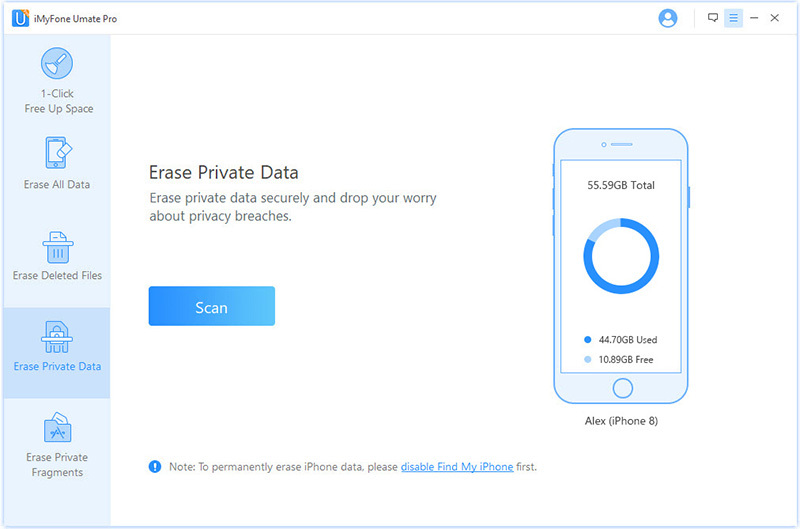 Preview and selectively erase the files that you want to completely delete from your device. Even your previously deleted data can be found out and permanently erase. You can also remove private fragments left by third apps such as Snapchat, Facebook, Chrome etc. It ensures that your erased data is non-recoverable and cannot be retrieved after undergoing the removal mechanism of Umate Pro. It provides users with 3 levels of security. The user can utilize these 3 levels depending on his needs and preferences. Fully compatible with iOS 11 and receive lots of positive reviews from macworld.co.uk, Makeuseof.com , Cultofmac.com etc. Note: Before using the software to reset your iCloud account, please make sure that "Find My iPhone" has already been disabled. Step 1:Use the USB wire to connect your IPhone to your computer and launch Umate Pro. Step 2: Choose a mode for the erasure of data depending on your preferences. All of these erasing categories can be use to permanently delete your iCloud account without the use of a password. After choosing an option e.g the Erase private data option, hit scan. Step 3: After the scan finishes, you can choose the data that you want to erase. Step 4: Finally, click on the erase now button to remove the data that you’ve selected. After the process finished, your iCloud account will be erased too!